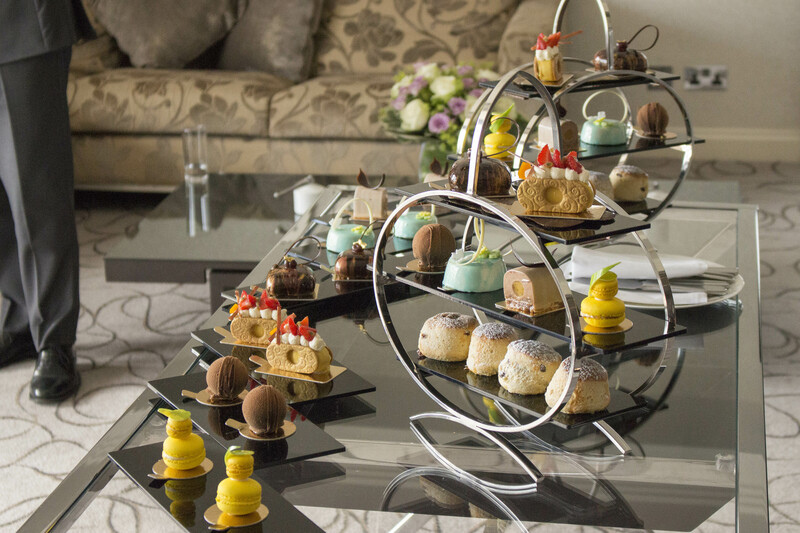 London Hilton on Park Lane has seen the launch of a new high tea following the success of two of its patisserie chefs on Channel 4 programme Bake Off: The Professionals. 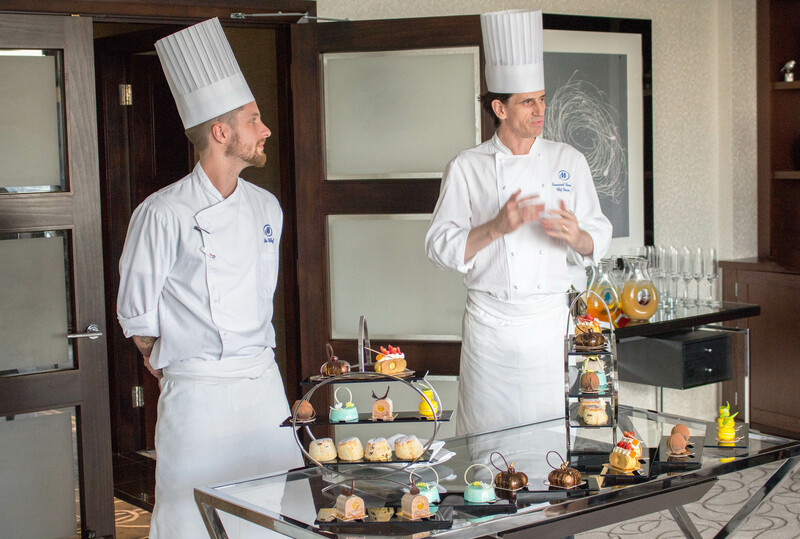 Emmanuel Bonneau and Sam Leatherby triumphed in the show earlier this month and will now transform their experiences into a luxury dining opportunity at the property. Served at Podium Restaurant & Bar, the tea features a Black Forest gateaux deconstruction, from the first episode of the series, as well as a passion fruit and strawberry tart served between two short bread biscuits. From the second round, the tea includes a traditional praline roulade, which is composed of a hazelnut dacquoise with a mandarin jelly centre. During the filming Bake Off, Bonneau said the dessert reminded him of his childhood home in France. A variety of warm freshly baked plain, raisin and chocolate chip scones are also served with strawberry jam, Cornish clotted cream and a delectable salted caramel spread. Speaking to Breaking Travel News, Bonneau said: “We received the challenges for the programme a week or two in advance and our chef de cuisine, Anthony Marshall, was always waiting with ideas – we had the whole team behind us. He added: “We found out we had won in March and it has been a challenge to keep the secret all this time. Afternoon Tea is served at London Hilton on Park Lane on weekdays from 14:00-17:00 and on Saturday and Sunday from 12:30-17:00. Leatherby added: “The competition was brutal at times, and without the support of London Hilton we would never have been able to win it – there is no question. He continued: “Only the chef de cuisine here knew the result; everybody believed we could do it, and they knew we could do it, so it was a relief when we could tell everybody. Situated in the lobby of the London Hilton on Park Lane hotel, Podium is the perfect location to enjoy a coffee, an informal lunch or sample a tempting afternoon tea. The location is regarded as one of the best restaurants in the UK, honoured for serving food prepared with care, understanding and skill, using good quality ingredients. Podium is run by executive chef Marshall, who mentored both Bonneau and Leatherby as they began their patisserie careers. The location is no stranger to success, with Podium pastry chief Sajeela Siriwardena also having made it to the finals of Bake Off: The Professionals precursor Crème de La Crème in 2016. After ten intense weeks of patisserie prowess, Bonneau and Leatherby were recognised as Bake Off: The Professionals champions in a dramatic finale hosted by Liam Charles and Tom Allen. From croissants, viennoiserie and croquembouche to stunning chocolate and sugar showpieces, patisserie experts Benoit Blin and Cherish Finden judged 12 teams over the course of the series. To end the series, the judges set a marathon challenge for the final three teams – nine hours of moulding, shaping and filling, creating a lavish banquet display to serve 80 people. The teams made four different types of dessert and a towering showpiece combining chocolate and sugar work. In the end of was it the London Hilton on Park Lane team that impressed with their precision, passion and patisserie knowledge, to be crowned the winners. Series producer Chloe Avery said: “Sam’s sugar work was exquisite - so ambitious, intricate, delicate and beautifully constructed. Parties interested in applying for to appear on Bake Off: The Professionals can do so here. Located in the heart of Mayfair, London Hilton on Park Lane boasts 453 guest rooms and 56 suites, all with stunning views over Hyde Park and Knightsbridge. From West End theatres and world-famous landmarks such as Buckingham Palace, the hotel’s close proximity to Hyde Park and Green Park underground stations make it the perfect base from which to explore.